Invite someone special into the pleasures of the islands with our softly scented soap and body lotion, bundled in sheer elegance. This Island Bath & Body Plumeria Vanilla Spa Sampler Gift Set is ready for gift giving or makes a perfect shower favor from Hawaii. Set includes 2.0 fl. oz. 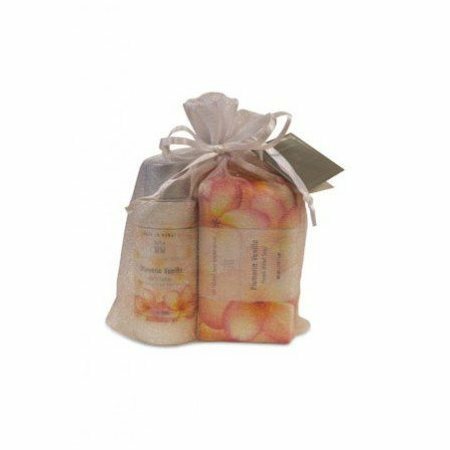 Body Lotion, 150g French-Milled Soap and Chiffon Bag.